Gary S. Griffin is a practicing metalsmith living and working in El Rito, New Mexico. Griffin was born in Wichita Falls, Texas in 1945 and grew up in Southern California and the Southwest. He received his Bachelor of Arts Degree from California State University, Long Beach and his Master of Fine Arts degree from Tyler School of Art, Temple University. He retired after 32 years of post graduate teaching as Artist in Residence and Head of the Metalsmithing Department at Cranbrook Academy of Art, Bloomfield Hills, Michigan (1984-2006) and previously at the School for American Craftsmen, Rochester Institute of Technology (1974-1984). 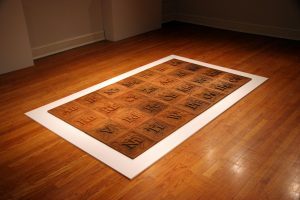 The recipient of two National Endowment for the Arts grants, Griffin has exhibited extensively in the United States, Mexico, South America, Japan and Europe. 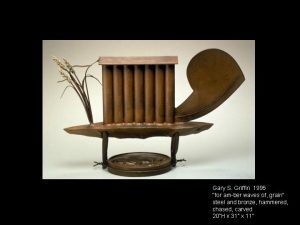 In 1988, Griffin was an invited participant in the National Ornamental Metal Museum’s exhibition Masters of American Metalsmithing, and his work was chosen for the American Craft Museum’s inaugural exhibition Craft Today: Poetry of the Physical. Over a two-year period this exhibition was presented at the Denver Art Museum, the Laguna Art Museum, the Milwaukee Art Museum, the J. B. Speed Museum and the Virginia Museum of Fine Art. His work was also included in Craft Today USA, an exhibition organized by the American Craft Museum, which toured from 1989 to 1993 through France, Finland, Germany, Poland, Switzerland, the former U.S.S.R., Turkey, Czechoslovakia, Belgium, Sweden and Spain. His work “Garden Gate” was chosen for the exhibition Art That Works: The Decorative Arts of the Eighties, Crafted in America. 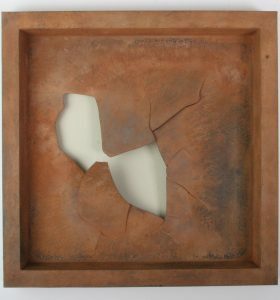 This exhibition premiered at the Mint Museum, Charlotte, North Carolina in August, 1990 and toured thirteen additional museums within the United States through 1993. 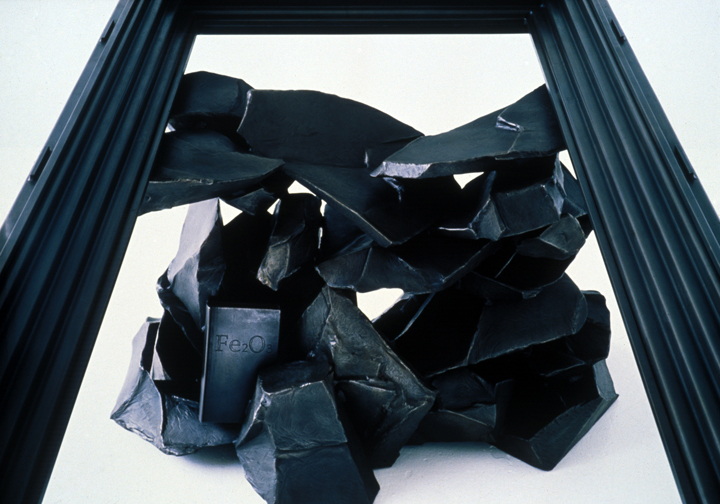 In the 1995 exhibition, Interventions, Griffin was invited to install a work in the Rivera Court of The Detroit Institute of Arts. In 1999, he installed his solo exhibition Signs: Sentimental at New York SOFA with JewelersWerk Galerie. 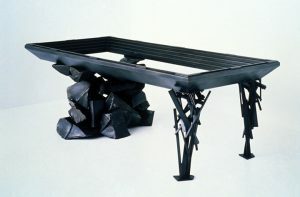 In the fall, 2001, his work was included in Objects for Use: Handmade by Design at the American Craft Museum in New York. Additionally, Griffin authors catalog essays, critical reviews and articles. 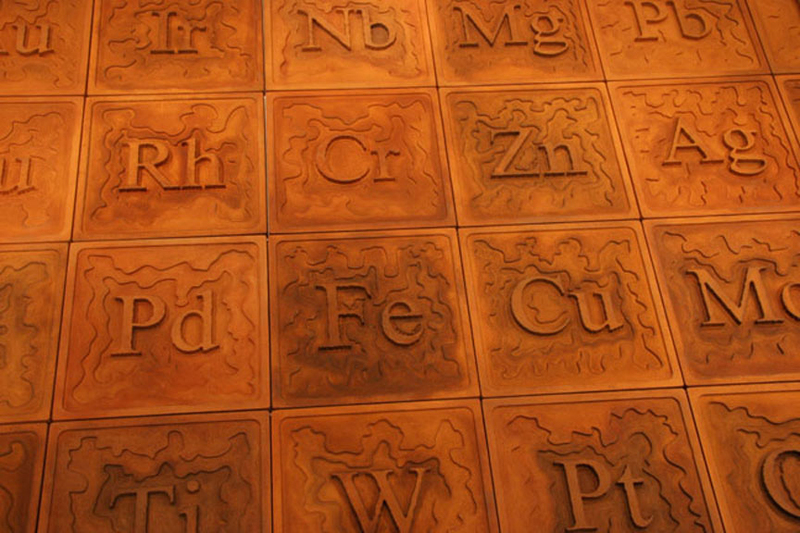 He has written for Metalsmith and American Craft magazines, as well as for numerous exhibition catalogs. 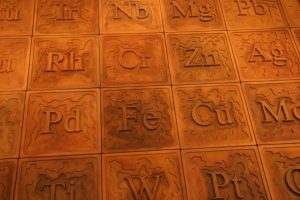 The article entitled, “REMAKING MATERIAL,” co-authored with Erika Ayala Stefanutti, was published in the summer 1994 issue of Metalsmith. This article served as the foundation for an audio-visual presentation under the same title that Griffin and Stefanutti delivered at the 1995 Society of North American Goldsmiths Conference in New Orleans. For this, Griffin and Stefanutti received Metalsmith Magazine’s 1995 Annual Writer’s Award in recognition of the article that made the most significant contribution to critical writing in the field. In 2002, his essay “MATERIAL” was included in Exploring Contemporary Craft: History, Theory and Critical Writing published jointly by Coach House Books and Harbourfront Centre, Toronto, Ontario, Canada. Griffin has been called upon throughout the United States to assess work in the visual arts. He served as a juror for the 1979 National Endowment for the Arts’ Crafts Fellowships grants. In 1990, he participated as a juror to award visual arts fellowships on behalf of the Greater Columbus Arts Council. In 1991, he joined the jury of the national competition Silver: New Forms and Expressions sponsored by Fortunoff. In 1994, he served as a facilitator for the Great Lakes Regional Symposium of Craft hosted by The Detroit Institute of Arts. In 1995, he awarded artist grants on behalf of the City of Raleigh Arts Commission as well as the North Carolina State Arts Council. In 1996, he curated the exhibition, Signals: Late Twentieth-Century American Jewelry which was installed at Cranbrook Art Museum in 1996 and was subsequently exhibited at the Parsons School of Design in New York and the Museum of Decorative Arts in Montreal, Quebec in 1997. That same year, he served on the jury for Craft Fellowship Grants of the Illinois Arts Council. For more than 30 years, Griffin has been invited to lecture on his work throughout the United States. In 1996, he spoke at the American Studies Conference in Kansas City. In 2000, he was a Lamar Dodd Visiting Artist at the University of Georgia. In 2001, he was an invited speaker at the Society of North American Goldsmith’s Annual Conference in Richmond, VA. In the Spring 2002, he presented the lecture “A METALSMITHING HISTORY: CRANBROOK, PAST, PRESENT AND BEYOND” at a decorative arts conference at New York University. And in the Fall of that same year, he presented the Rosanne Brody Raab Lecture, “AFFIRMING AN APPLIED ARTS PRACTICE: REMARKS FROM AN APPRENTICE” at Skidmore College in Saratoga Springs, New York. Since 1983, Griffin’s metalwork has primarily focused upon utilitarian pieces for residences. This focus includes lighting fixtures, doors and hardware, tables, sideboards, fireplace screens and tools, gates and fences. These commissioned works extend in size from door handles to a 1988-90 fence and entry gate 90 feet in length. Interest in his work has resulted in pieces being placed throughout the United States. In the Fall of 2001, he completed pedestrian and vehicular gates for the Lone Pine entrance to the Cranbrook Educational Community. 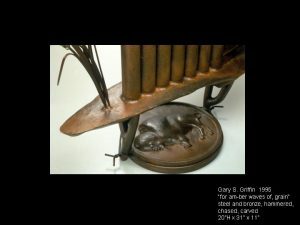 In the Summer of 2004, Glenn Adamson of the Chipstone Foundation interviewed Griffin for the Archives of American Art/Oral History Program, Smithsonian Institution, Washington, D.C. 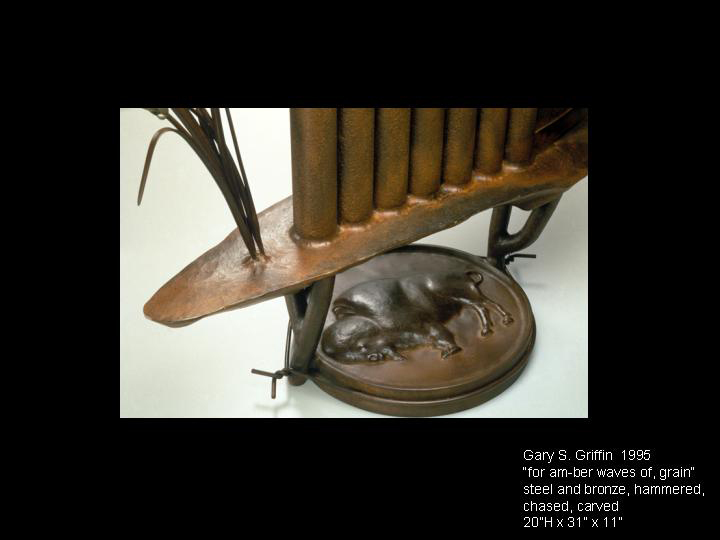 In 2005, Griffin was elected to the American Crafts Council College of Fellows. 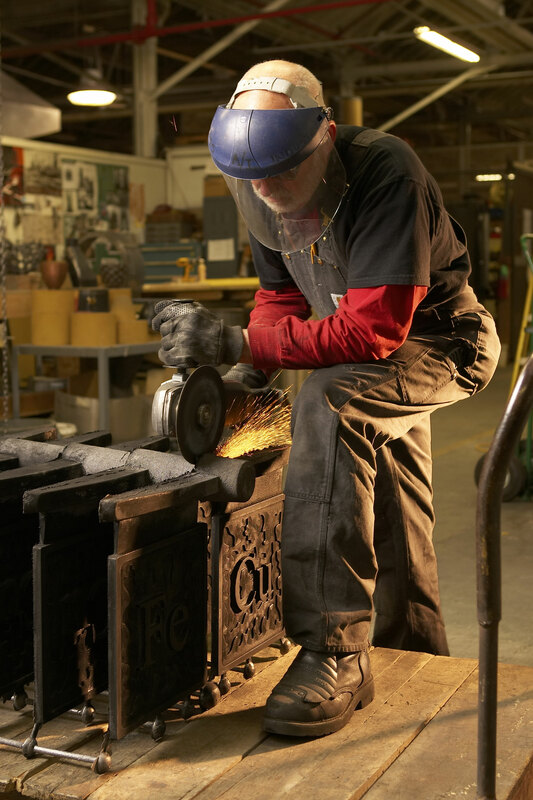 In 2007, he was a resident artist in the John Michael Kohler Co. Arts and Industry program and in 2008 he was given the Master Metalsmith Award by the National Ornamental Metal Museum in Memphis, TN. Learn more about Gary Griffin in this 2004 oral history interview with Glenn Adamson, for the Archives of American Art.